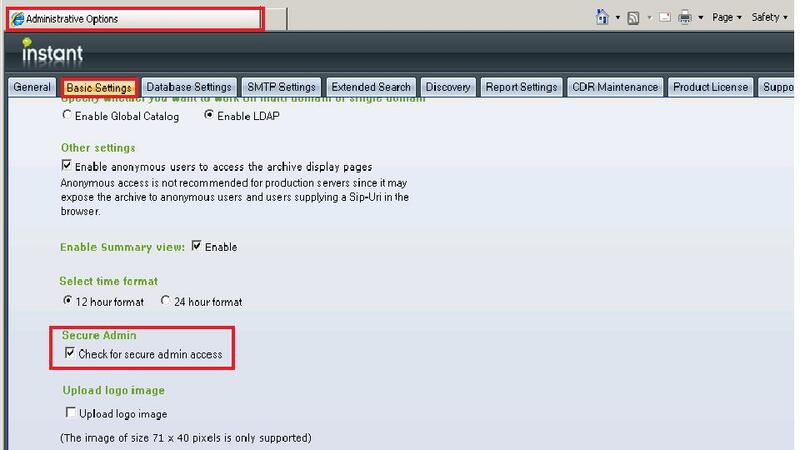 Instant Support FAQ: How do I secure the Admin page for Instant Archive Viewer for OCS? How do I secure the Admin page for Instant Archive Viewer for OCS? 3. Check the "Check for secure admin access" check box. By enabling the secure access check box, only the users who are members of the builtin Administrators group will have access to the admin page by default. 1. On the host machine for the Instant Archive Viewer Application, navigate to the following directory: inetpub\wwwroot\itimarchiveviews\web.config. add key="AdminSecurity" value="builtin\Administrators; ocs\kcarbonneau; ocs\jsmith; ocs\ljohnson"
6. 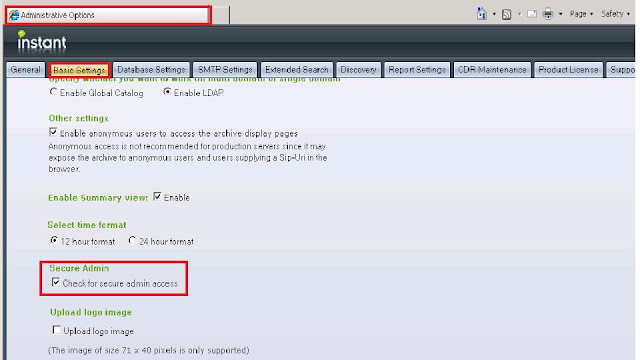 Access the admin page with the user you have selected to give access to in the web.config.